SAVE $150! A primary consideration when selecting equipment for a Plumbing Contractor’s van is to be sure to accommodate the numerous variations in pipe fittings, including black pipe, PVC and copper, every Plumber needs to carry. In this package, designed for all full size standard wheel base vans, we address this requirement with American Van’s exclusive Ameri-Bin storage system and plenty of dividable heavy duty Contour Shelving space. For smaller components and fittings you’ll find two small parts drawer units that will easily hold and organize your parts. 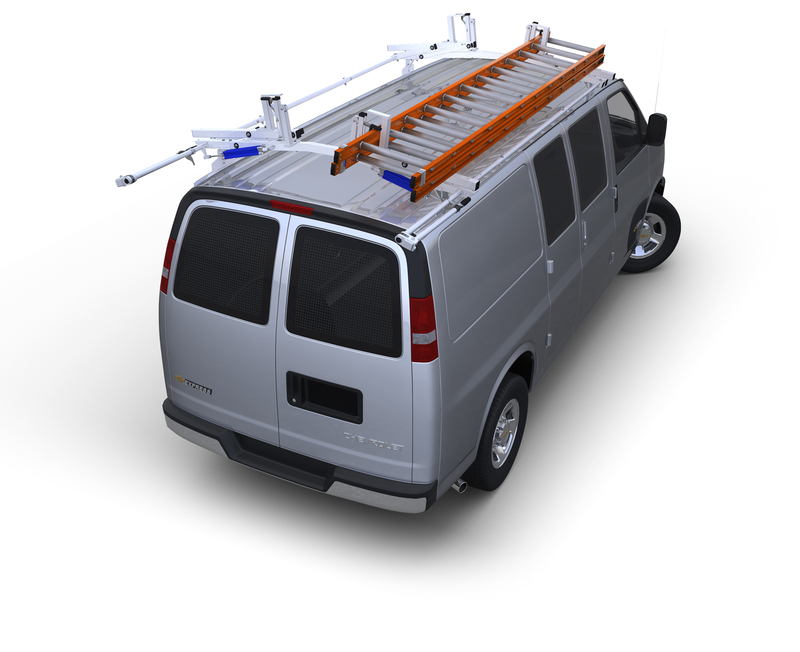 This package also includes our best All Aluminum ladder rack for carrying extension ladders and longer cargo. To learn more about any individual component of this package simply click on the item description and you will be taken to that item page. Any questions please give us a call at 1-800-526-4743, Monday – Friday, 8:30 AM – 8:00 PM EST.